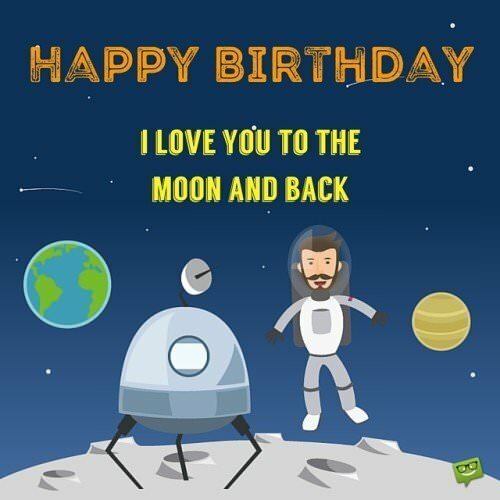 Despite the fact that you bought a present, one more important thing that will make your girlfriend really happy for her birthday is a birthday message. 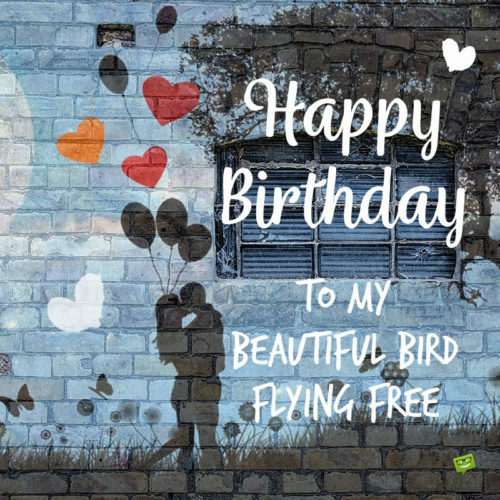 It must be original (or at least… inspired by a great article about birthday wishes) and from the heart. Grab this opportunity to express your feelings and all best wishes to your girlfriend. Running short on birthday ideas for your girlfriend? Looking to do something special to impress her? Or maybe a funny message that will put a smile on her face? Keep it fun, creative, and simple. There are so many ways to express your love and appreciation for your girlfriend on her very special day. Birthday messages can be charming and sweet. They can also be flirty, witty, and even inspiring. 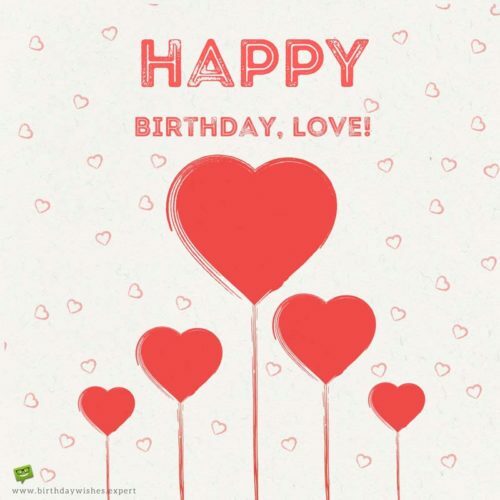 You can’t go wrong with any of these thoughtfully sweet birthday greetings, so pick the right one and share! May God bless you with all of the wonderful desires of your heart and bless you to keep the many blessings that you already have. Happy Birthday, dear! Since you came into my life, all colors have become clearer. You brought light and colors in my dark life. Happy birthday, my love. You are all the best in my life! Happy Birthday, love! 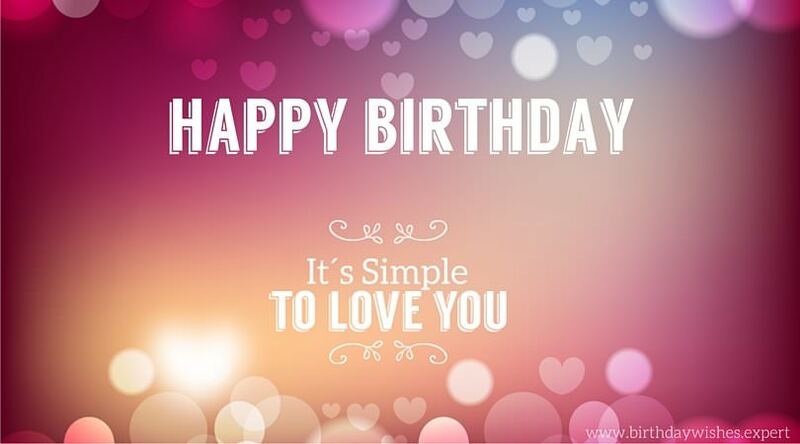 Dear love, I wish you all the best for your birthday and I promise that I will do everything to make you happy. Hugs and Kisses! Today is the perfect day to tell you that you’re a wonderful girlfriend. Happy birthday! I wish you all the best on this day and throughout the year. I’m celebrating this day together with you because on this day the love of my life, my soulmate, my best friend, was born into this world. Happy Birthday! Falling in love should last forever. Forget all the bad and the things that made you sad. All best wishes from someone who loves you immensely. Happy Birthday! Tonight is a special night out. I’m taking you somewhere where all wishes come true, and I’ll try to make everything unforgettable. Happy birthday, my sweetheart. Every day with you is one great celebration and filled only with beautiful moments. I love you baby. Happy Birthday! Thank you for all the good moments that you brought into my life. 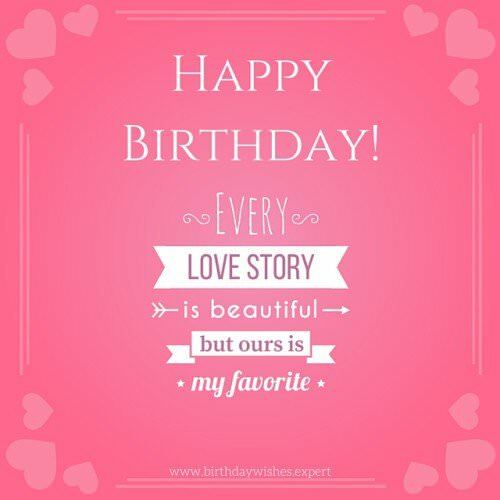 Happy birthday, love and I wish you all the best. Love you! Happy Birthday. It’s simple to love you. Remember your last birthday? Remember that you said that it was best birthday of your life? That will change tonight…just wait! On this day was born one beautiful Princess, and fortunately she fell in love with me and made me feel like the luckiest guy in the world. So I will do everything for her majesty. Happy birthday, my princess!!! You are everything that one man could wish for. Therefore, I will try to return all the happiness that you brought into my life back to you. Happy birthday, my love! I always long for your birthday as I long for my next meal…that’s because it’s a special day to me just as it is to you. Have a Merry Birthday, Dearest. 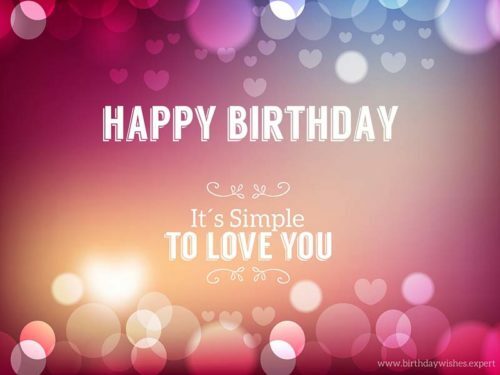 Because you are so special, may this special day of your life be filled with very special things that life can offer. Happy birthday, sweetheart. There is no better way to say happy birthday than to say you mean very much to me. Sweetheart, age is just a number, for me you are a year younger today and will always be for the rest of your birthdays. You will never grow old in my eyes and in my heart. Happy Birthday, Dearie. I have met lots of special people in my life but you surpass them all: There’s no better day to let you know this than on a special day like this. Happy Birthday, My One and Only. My fondness for you will not grow old no matter how old you become, that’s a firm promise to you. Best Birthday Wishes, My Luv. Your past is blessed, your present is guaranteed and your future is secured; this is my heart-felt prayer for you on your birthday. You are a friend indeed and I’m proud to let the whole world know it’s your birthday today! The best of your years are still ahead of you girl, despite all you have achieved, the best is yet to come for you. Happy Birthday to a Dearest One. If I give you rose on this special day, it will eventually wither and die, but I give you something that will never wither nor fade – my undying love. I’m so happy that you are celebrating yet another birthday with you by my side. Here are a few standard wishes: love, happiness, success, health and much more. And tonight I will wish you the very best and may all of your wishes and dreams come true. Happy birthday, my sweetheart. You are my support and my strength. I wish you a lot of love and happiness into your life. Happy birthday! 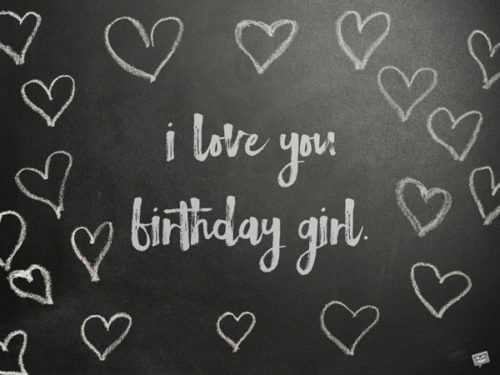 I love you birthday girl. Many things have changed over the years, but you’re still that same wonderful person. Happy birthday! Our love is like a sea and an endless sky. Love is all that we need. Love is a stream that flows from heaven, and a kiss is the lane that connects two hearts. For me love is all that you are. Happy birthday! I am happy that I have a girl who is smart, beautiful, funny and crazy enough to go out with me. This night out must be special for you my baby. Happy birthday! Happy Birthday. Every love story is beautiful but ours is my favorite. Is this beautiful birthday girl free for a romantic dinner tonight? If your response is Yes, I will be the happiest person in the world, and I will make you the happiest person in the world too. Love you! No one told me that I it was possible to love someone so much, strong and limitless. You have shown me that I became complete as a person when you become a part of me. Happy birthday, my love! Limitless love is what you taught me. Thank you for your goodness, love and faith, and that you made a better man of me. I love you baby. Happy Birthday! On this day, one gorgeous and cute baby girl was born. The Earth received a priceless gift. 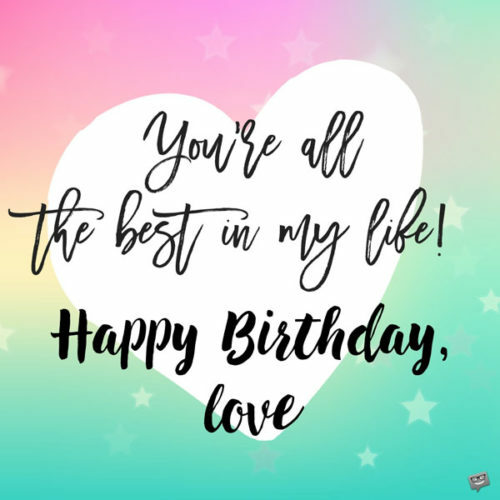 To that person, I wish all the best and happy birthday! Love you! I thought of something very special as a birthday gift for you, all I could think of is a loving kiss on your tender cheeks. Happy Birthday, My Sweetest Girl. Your birthday provokes an extra-thankful heart as I ponder on the great happiness you’ve brought to my life since I met you. Have a Fun Filled Birthday. God bless the day you were born honey, I wonder how life would have been for me if that day never existed – You were born just for me and thanks for coming into my life. May your birthdays be filled with joy and blessings. Happy Birthday. I love you to the moon and back. Knowing that we are still sticking together makes me even happier on your birthday. I can’t stop loving you girl. Happy Birthday. 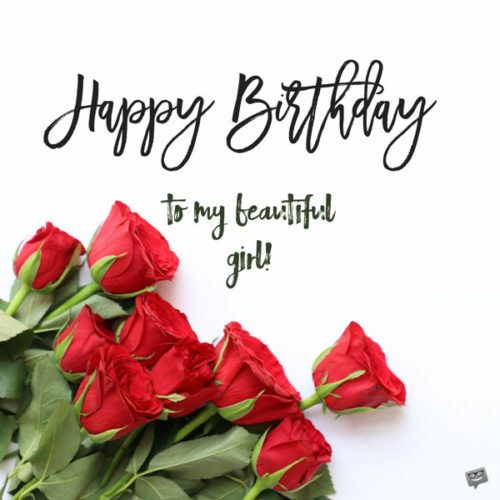 I have imprinted you right in the center of my heart, not even the best erasers can erase your lovely image from my heart; every of your birthday makes the image even brighter, bolder and just indelible. Happy and Fun-filled Birthday, Dear. My prayer every single day is that you celebrate each birthday with me by your side for the rest of your life…that’s how much I love you sweetheart. Best Birthday Wishes. All these years have not changed the love I feel for you, they have only changed it from good to better, and I woke up on this special day realizing that I love you even best. It’s another great birthday for you, dearie. I will tell it to the mountains, I will sing it to the hills, and I will shout it aloud to the oceans – It’s my girlfriend’s birthday today! I can’t wait to plant 20 loving kisses on your warm cheeks – it’s my special way of saying Happy 20th Birthday, My Love. 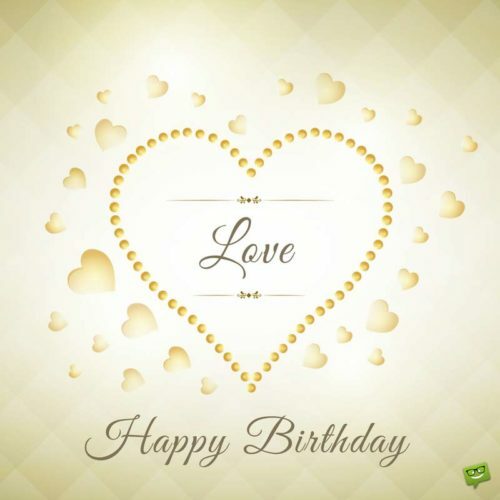 Nothing is going to change my love for you…that’s the only birthday wish in my heart as I woke up this morning. Sweetheart, I have just one wish on this special occasion – that the day I will wake up without you by my side will never come. Happy Birthday to My Special Girl. That flawless smile on your face reassuring me of your love is the only thing I ask for as you celebrate another birthday today. Happy Birthday. You are my sunshine. I don’t need any light in my room dear, your love lights up and brightens the entire place; and I realize it’s even dazzling as I woke up with you on my mind this special day. Have a Fulfilled Birthday now and always. I will choose your love over gold, your brightening smiles over silver, and your dazzling look over the most precious jewel. Lots of Love on Your Birthday. I hope you never question the substance of our relationship. It’s pretty clear that I only love you because you’re hot. Happy Birthday! Funny how someone can be all the best AND all the worst in my life. Happy Birthday! I wish you many, many, many more birthdays! It’s a sign you’ll live a really, really, really long time! Many guys envy our relationship, but that’s only because they don’t know how crazy you are! Have a special birthday! Sweetheart, please don’t blow off the candles on your birthday cake, let them keep burning please, it’s a symbol of our love that will burn forever. Happy Birthday. Happy Birthday! P.S. I love you. Happy Birthday to my beautiful girl. Girl, ask me for a special birthday gift and you will have it! But don’t ask for a car, I can’t afford it yet. Happy Birthday, Girl. A, b, c, d, e, f, g , h, i, j, k, l, m, n, o, p, q, r, s, t,…v, w, x, y, z; guess what is missing – it’s ‘U’ – I Miss U My Love. Happy birthday! My prayer for you this day is that you will live long… Well, not as long as Methuselah or you won’t have teeth to chew meat again. Happy Birthday, Sweet. Please… let’s not go to the cinema on this special day, you are the only movie I want to watch all day long. Happy Birthday, My Finest. Baby, on your birthday, I pray that you get whatever your heart desires. May this special day of yours bring with it God’s blessings and love into your life. Have a wonderful birthday, my love. On your birthday, may happiness and peace be your gift. May you always be led to things that make you smile. Happy birthday, sweetheart. My darling, I never felt happiness until you came into my life. You mean the world to me. 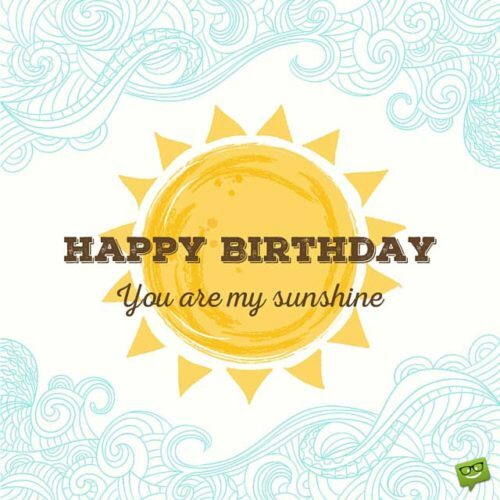 On this special day of yours, I pray for sunshine, love, joy, peace, and happiness in your life. May God envelop you in His special love and shower you with His abundant blessings. Happy birthday. Our heavenly love gives me the courage to surmount all the hurdles of life, regardless of how mighty they are. Happy birthday, my love and heartbeat. Happy birthday, my darling. Even though, you are presently far away from me, may your special day be nothing short of spectacular. I love you so much. Wishing my outstanding girlfriend a spectacularly outstanding birthday! Sweetheart, we might be apart on this wonderful day, but that doesn’t mean we can’t enjoy it to the fullest. Have a delightfully fabulous day! Distance means nothing because you mean everything to me. Happy birthday, my sweet queen. Happy birthday, sweet angel. May your day be absolutely colorful and wonderful. No amount of distance can ever change the love I feel for you, sweetheart. Sweet baby, you have no idea how much I wish you were here with me on this special day. I hope you enjoy a magnificent birthday. I can’t wait to have you in my arms. Wishing you, my darling girlfriend, a marvelous birthday celebration and life. Click here for our best birthday wishes.